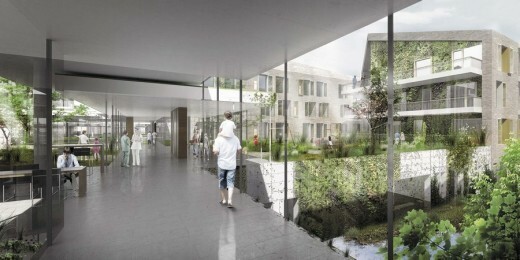 Three of the seven entries for the future General Hospital Building have gone through to the next stage of the competition. 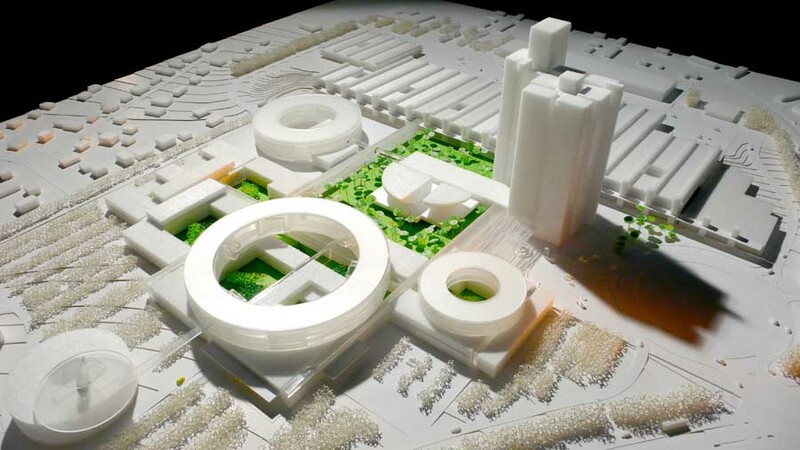 The three entries all have a clear pavilion structure, clay tiles and a strong reference to the existing Bispebjerg Hospital and the Copenhagen North West Quarter. 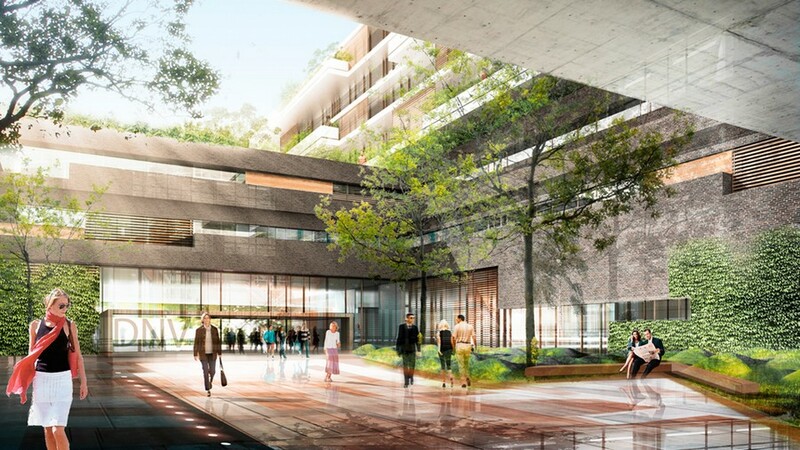 Three teams are through to the next stage of the competition to create the new General Hospital Building for New Hospital Bispebjerg. Heading the three teams are C.F. Møller, COWI and a consortium of KHR arkitekter A/S, WHR Architects Europe and Arup Denmark. They will now go through to the second stage of the competition and the final winner will be chosen after the summer holidays in 2015. The C.F. Møller entry reinterprets the North West of Copenhagen in a contemporary form. It includes slanting roofs and yellow brick walls and roof tiles, which makes it blend well in scale, materials and nuancing. images: C.F. Møller Danmark A/S, Alectia A/S and Søren Jensen A/S. “The task is in many ways challenging. 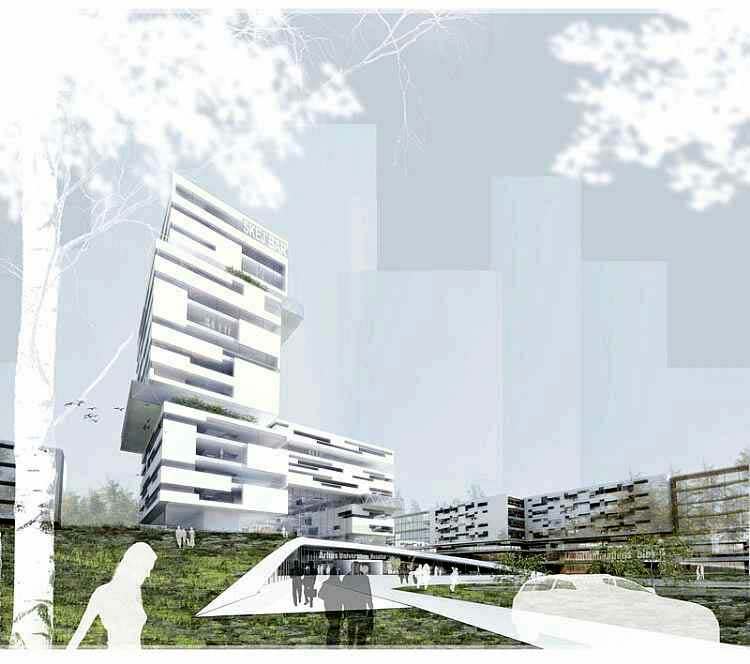 The judges have especially noticed the entries that have managed to include the delicate balance between a modern hospital with optimal functionality and a 100 year old historic, listed hospital,“ says President of the Judging Committee, Regional Council Member Lars Gaardhøj (S). 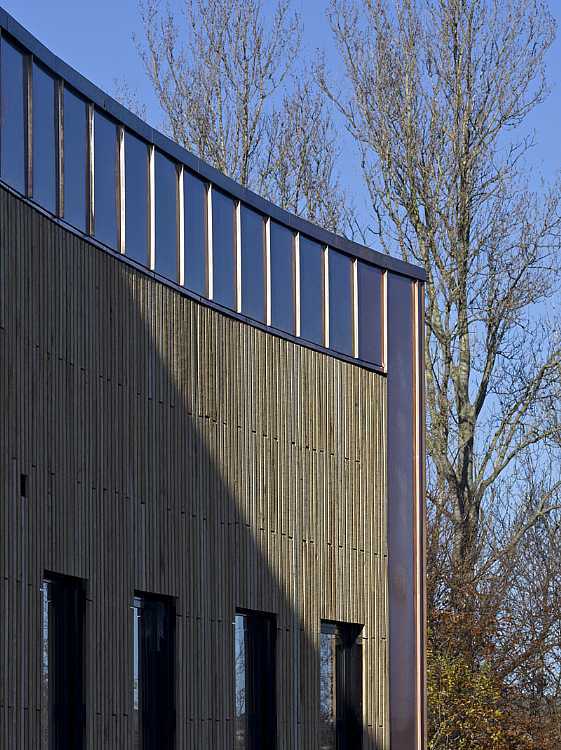 The three finalist teams have created a General Hospital Building which both lives up to the local plan’s demand of a pavilion structure and clay tiles, as well as having clear references to the listed hospital buildings or the North West Quarter of Copenhagen. The COWI entry has a very clear and functional concept, which supports the good patient experience and lays the foundation for optimal operational conditions. 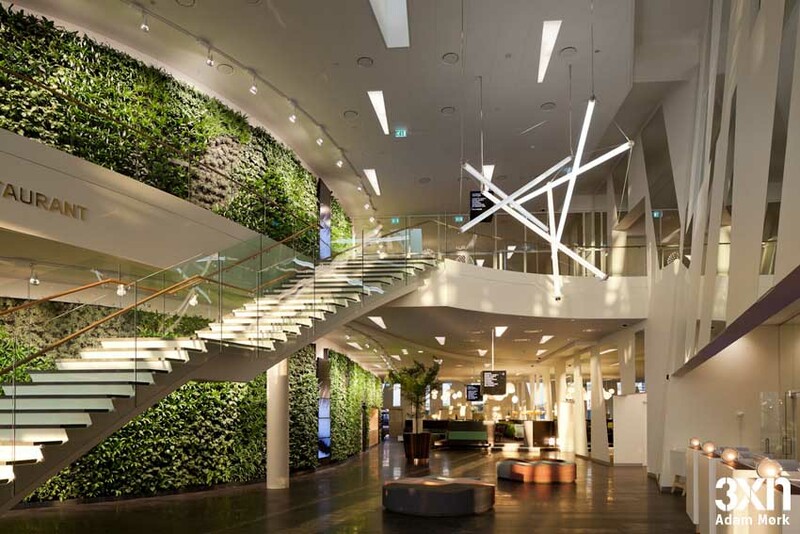 The entry exhibits a great interest in making the green spaces more present. image: COWI A/S, Nordic Office of Architecture, Christensen and Co Arkitekter, Aart Architects A/S and Marianne Levinsen Landskab ApS. 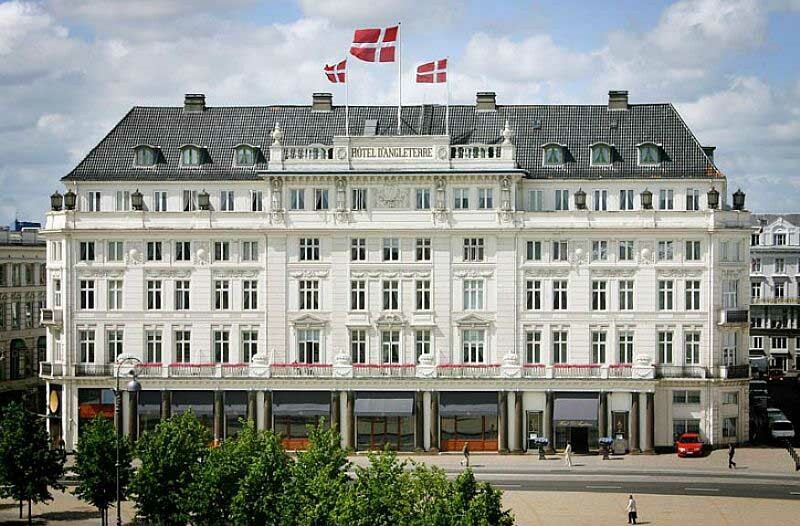 “It is exciting to see how the old Bispebjerg in many ways has been included in the new. You can see it in, for example, the interpretations of the old pavilions and in the choice of building materials. The entries re-tell some of the story of Bispebjerg or the North West Quarter of Copenhagen,” says Lars Gaardhøj. The competition participants have had to solve a very complicated task. They had to consider the tight local plan and fit the new General Hospital Building into an area of an old listed hospital. “There is no doubt that this has been a difficult task with many opposing considerations. We want all functions to be close to each other but we also want bright open spaces. There are a lot of considerations to be taken in relation to the clinical functions. 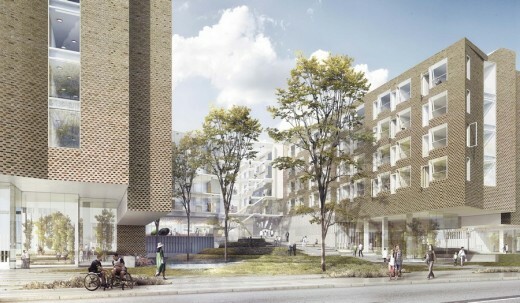 At the same time it needs to fit in with the existing hospital,” explains Executive Vice President Claes Brylle Hallqvist of Bispebjerg and Frederiksberg Hospitals, who is also responsible for the construction project. The entry from the consortium of KHR, WHR and Arup would include ward buildings in yellow and red bricks. 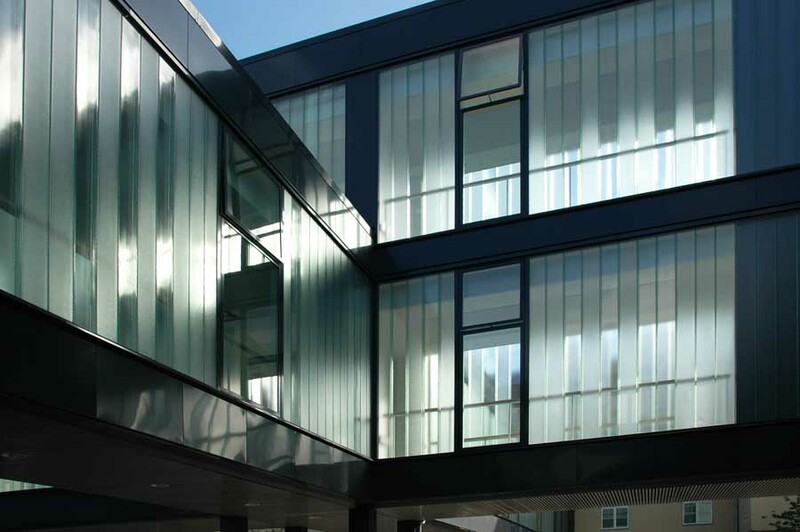 It has convincing architectural solutions to the recreational connection between the hospital and the close proximity with the experiences to be had in the open outdoor spaces. image: KHR arkitekter A/S, WHR Architects Europe, Arup Denmark and Schønherr A/S. A number of entries were ruled out because they didn’t sufficiently take into account that, Denmark has four seasons, including a long dark winter. The next stage of the competition is the tender process with negotiations, where the three teams must work to make their entries more concrete, together with the project organisation at Bispebjerg Hospital. ”It is going to be very exciting to see the more concrete entries. They still need some work, which is understandable in a two stage competition. I wouldn’t be able to pick a winner today,” says Claes Brylle Hallqvist. 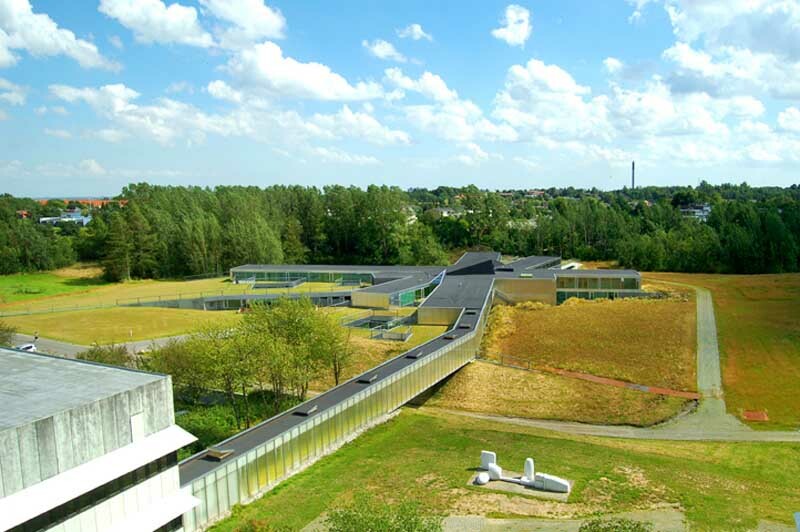 • Seven International teams took part in the competition to create the General Hospital Building for New Hospital and Mental Health Bispebjerg. – C.F. Møller Danmark A/S with sub-consultants Alectia A/S and Søren Jensen A/S. – COWI A/S with sub-consultants Nordic Office of Architecture, Christensen and Co Arkitekter, Aart Architects A/S and Marianne Levinsen Landskab ApS. – KHR arkitekter A/S, WHR Architects Europe and Arup Denmark with sub-consultant Schønherr A/S. • Next stage in the competition is the tender and negotiation, where the teams will make their entries more concrete following a number of negotiation meetings with the client. • The final winner will be chosen after the summer holidays in 2015.